**** Best selected Jokes! **** It is a cool and simple way to have fun wherever you are. You can have great fun reading more than Share the Joke You like with your friends on Facebook, Twitter, Email, etc. 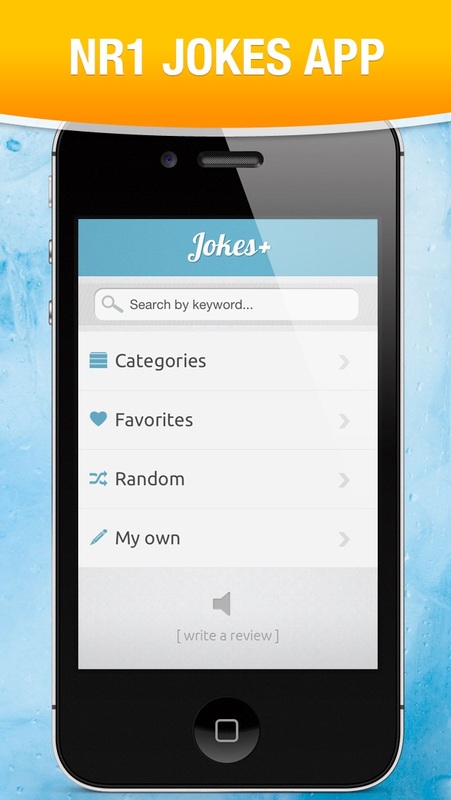 Features: * More than 25 categories of Jokes available. * More than 20.000 Jokes available, selected to make your reading time great. * Instant sharing on Facebook, Twitter, etc. * 100% Great time guaranteed! 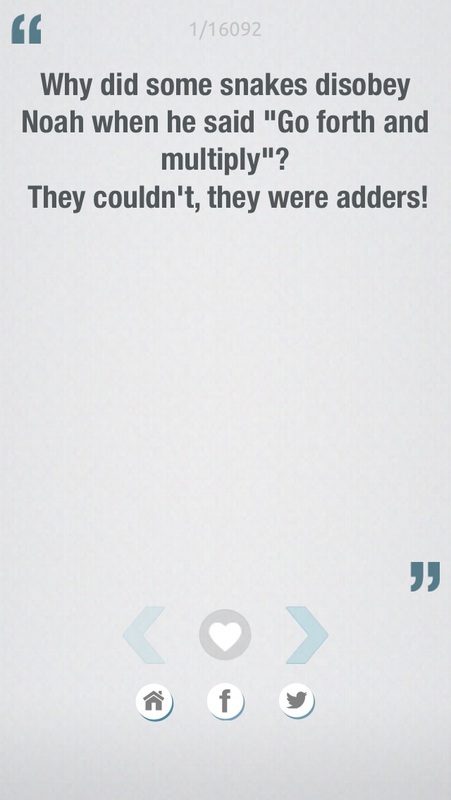 * And much more FUN ... :) Enjoy it, Have Fun and rate Jokes+ APP!